Did you know that there are over 29 breeds of pheasants in the world? 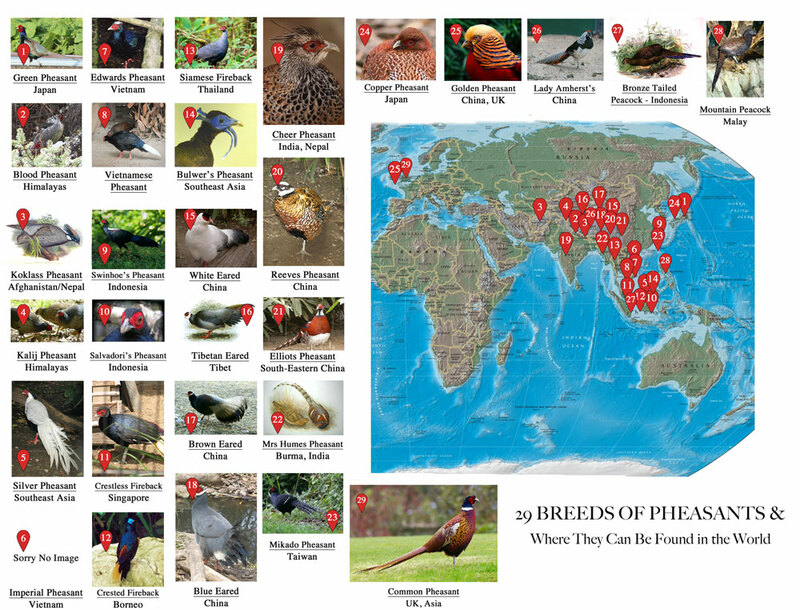 And did you know that the United kingdom’s common pheasant originated from Asia? Well, there certainly are many different types of pheasants on planet Earth. Here in the United Kingdom, our common pheasant is a truly colourful bird. Originating from Asia, this bird was introduced into the UK by the Romans primarily for hunting. Nowadays, this pheasant is classed as a game bird and has actually become the most hunted bird in the world. Commonly found on game farms this pheasant is now bred commercially for sport, by gamekeepers. There are in fact many different types of pheasants but the common pheasant (Phasianus colchicus) is the most well known. It lives mainly within Europe but has been spotted in locations all over the world. Pheasants are known to be very intelligent and hyper-sensitive animals. Some experts suggest that these birds are able to identify when an earthquake or tremor is likely to occur, within seconds of it happening! Interestingly, Japan adopted the green pheasant (Phasianus versicolor) as it’s national bird. In the past, for example, the green pheasant was printed on the Japanese 10,000 Yen bank note. 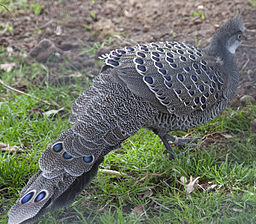 Similarly, Myanmar in Burma adopted the Grey Peacock Pheasant as its national bird. So, it would appear that the pheasant has always been – and remains – a very popular bird throughout the world. Next time you see one, perhaps take a little time to fully appreciate it’s magnificant colours! Belated Mother’s Day gift guide!